Woo (top picture) and Charisma (middle picture) are a pair of petite little 2-year-old sisters who are just too adorable! These girls were adopted together as kittens but unfortunately lost their home when their owner passed away. 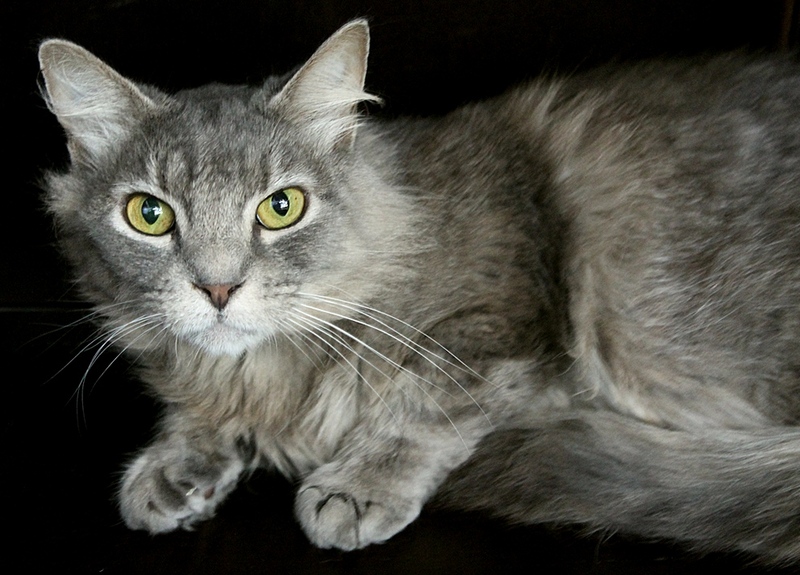 They are extremely gentle with people and cats and are very, very bonded. 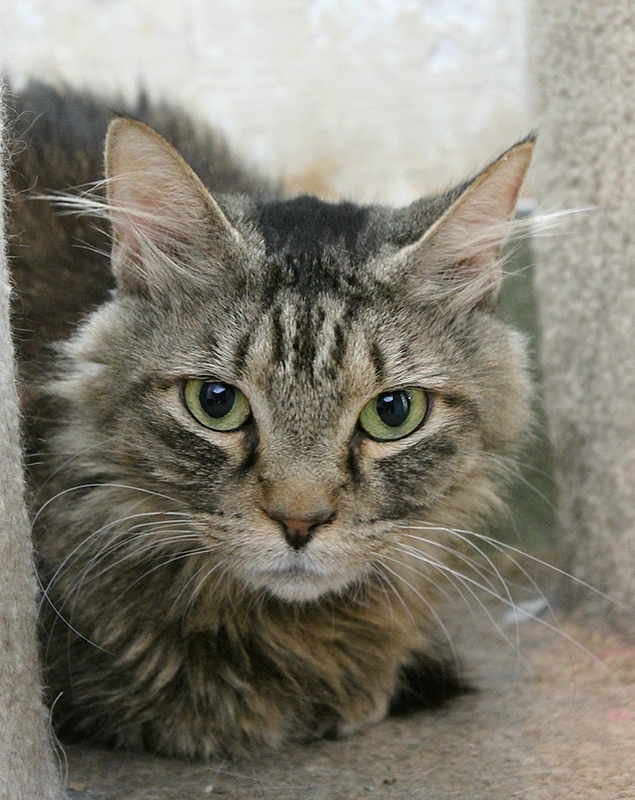 Woo and Charisma were raised in a quiet home but are used to kids and are extremely social with other kitties. Being in the shelter has been just a little bit overwhelming for them but they are beginning to adjust and gentle pets and chin scratches from people have helped them relax. They also get so much comfort from each other and can often be found cuddled up together hugging and nuzzling each other. It is just too cute! Woo is the slightly braver of the two and will typically be the first one to poke her head up and ask for more pets — making sure to check in with her sister to make sure she’s alright and let her know everything is okay. 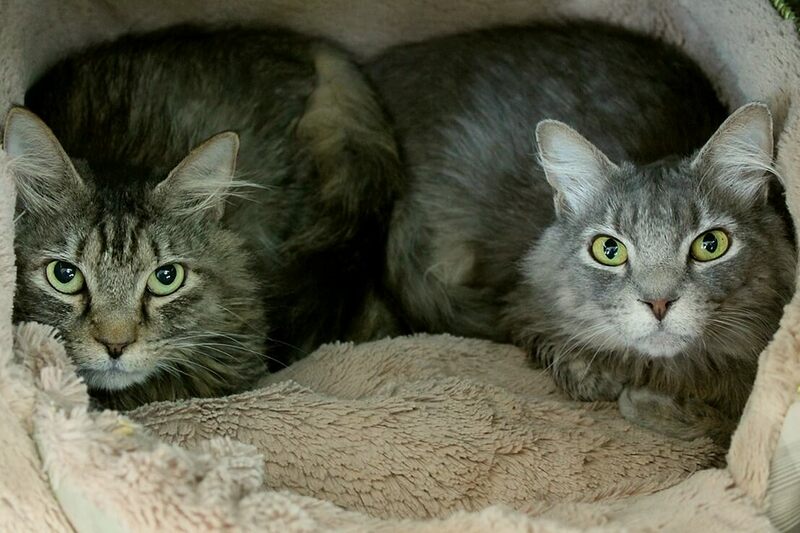 These girls would love to find a calm home where they can blossom — do you think you might be what they’re looking for? Stop by Pixie to meet them today! They come to you fixed, vaccinated, and micro-chipped for a combined adoption fee of $180.